Traditional classic design meets Mediterranean-inspired carvings that can swiftly pull any room together. The elegant details in this unique fireplace surround fuse a luxury and warmth that’s sure to unite your living space. 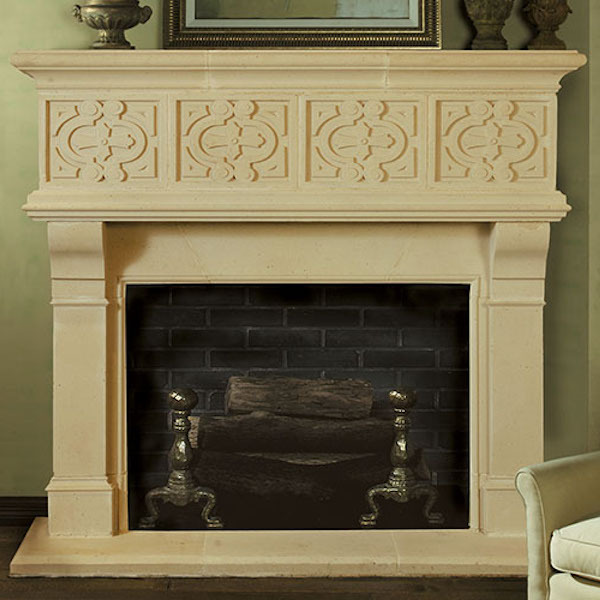 The out-stretched edges of our stunning Rosamond Cast Stone Mantel beg for personal touches. It’s the perfect blank canvas for all your home decor stylings and housewares.